Mandarin Duck: "Curious Froggy". 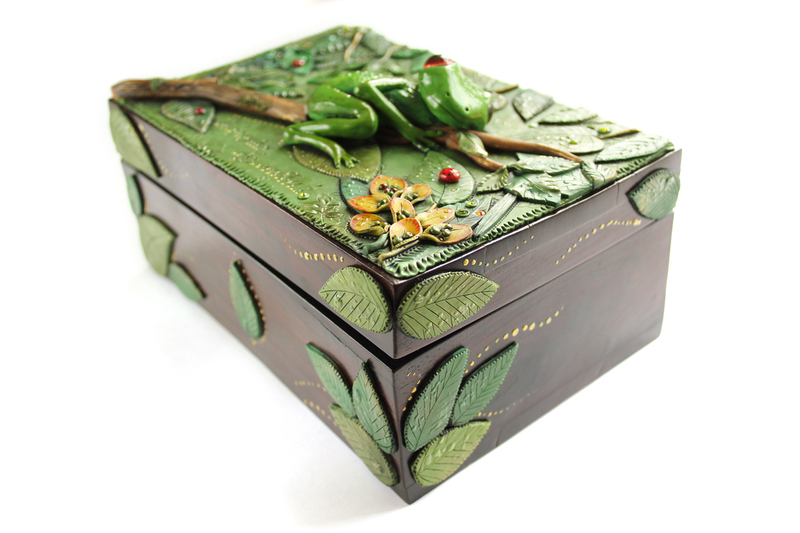 Polymer Clay Jewelry Box. "Curious Froggy". 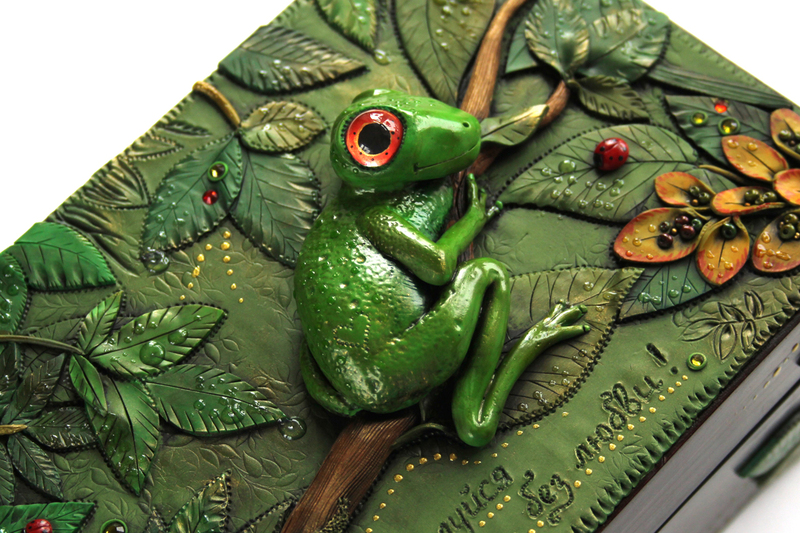 Polymer Clay Jewelry Box. Days are going hotter and summer is here for sure! This made me very happy when I received this custom order. I was contacted by a wonderful woman who is a mother of a 15 years old girl. 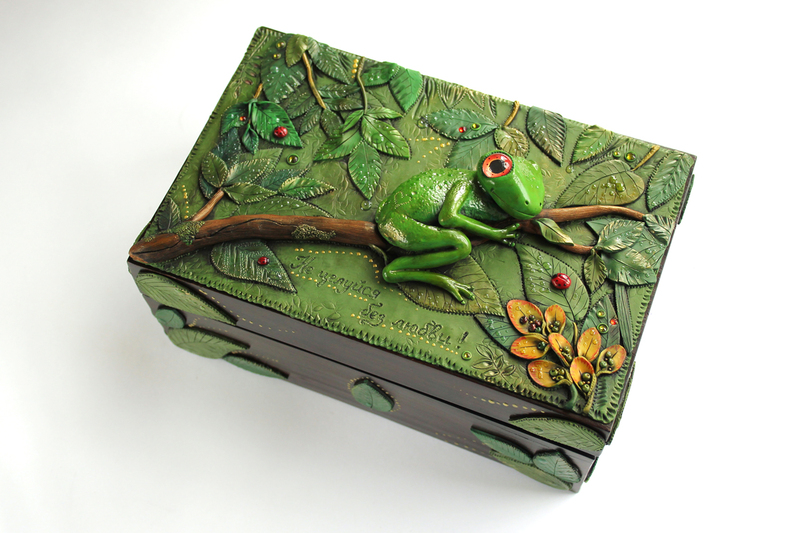 She said that her daughter loves frogs and nature and she requires a jewellery box to be made for her with some sort of important saying. I asked her if there is anything she as a mother want's to tell her. She told me that there is a funny but wise phrase they two have and it sounds like: "Don't kiss without love!". I don't think I need to explain what that means. As a mother she tries to let her daughter how precious real family relationship should be. But enough of that theory, enjoy the box! :) Find more pictures HERE.